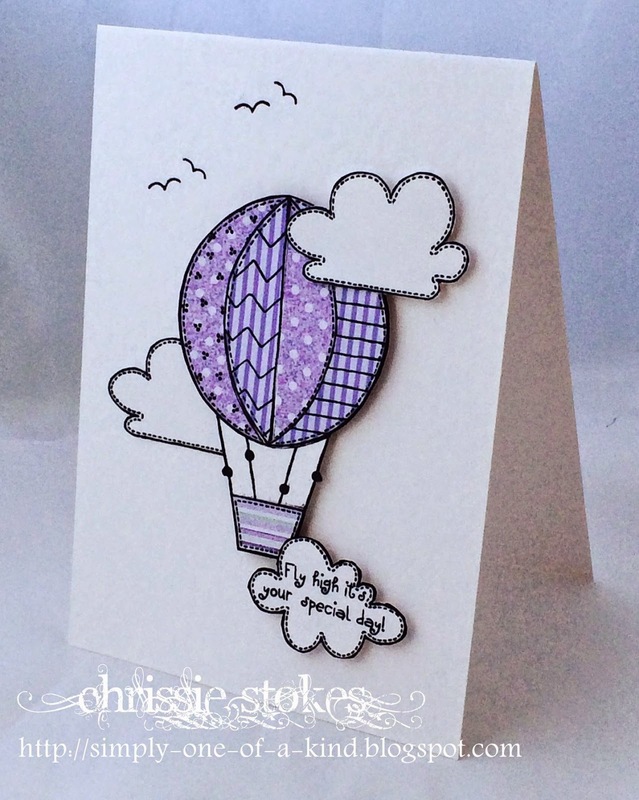 Simply One of a Kind: Up up and away! What comes to your mind with those words? For me it will always be balloons, but it could be a variety of things...fairies, planes, and things that are carried along on the breeze. 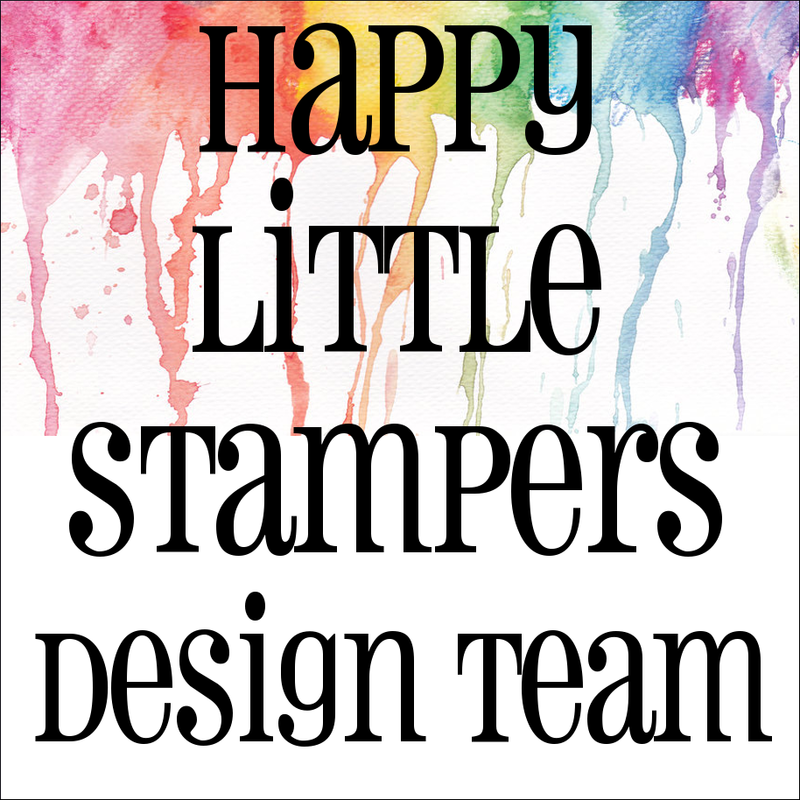 This is a Woodware stamp set, perfect for paper piecing... here I used Cuddly Buddly papers. 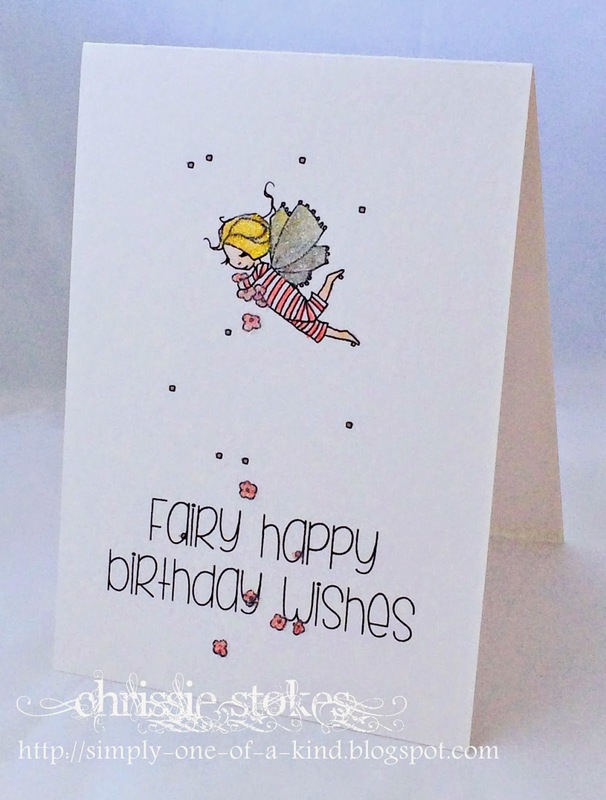 Here is a little Day for Daisies fairy who is decidedly on her way up and away! I must apologise about the picture, my phone is a bit hit and miss or should I say, my ability to use it to take pictures is a little hit and miss! Two great cards Chrissie! I really love that cute little fairy...and the sentiment is perfect! 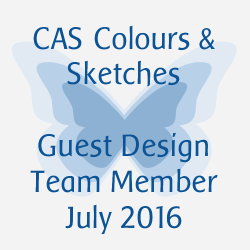 These are lovely, so CAS and SOOO pretty! That balloon and in purple is a great card! Your second is sweet and funny...hadn't thought about a fairy for this theme... Enjoy the weekend! Both lovely cards Chrissie and I love the way that the first one looks hand stitched around the image, just gorgeous! well you know how much I LOVE paper-piecing so the balloon wins me over instantly but the little fairy in her onesie is just too cute. Love the purple paper piercing.. but that little fairy is delicious!